Stall holder’s coped admirably with the tail winds of hurricane Barney and were all ready for our customers in record time. Over the two days nearly 500 people came to support us and enjoy mulled wine, mince pies and a great atmosphere on the Tuesday evening. Coffee, homemade biscuits, cake and homemade soup were served on Wednesday. All the refreshments are made by our supporters therefore increasing our profit. 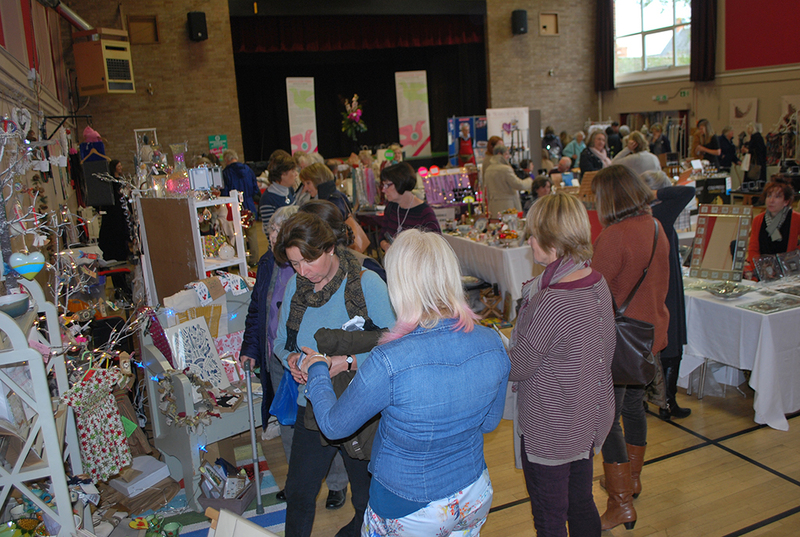 Our brilliant team of volunteers kept everyone happy allowing plenty of shopping time from our 35 wonderful stalls selling everything from ceramics, jewellery, decorations and cards to salmon and shoes, oils and charcuterie, candles, cushions and clothing. We would like to thank everyone who came and supported the event on our return to the Townsend Hall, we are delighted to have raised over £6,000 for the Charity.